Get 10 exercises in one amazing calorie burning workout! 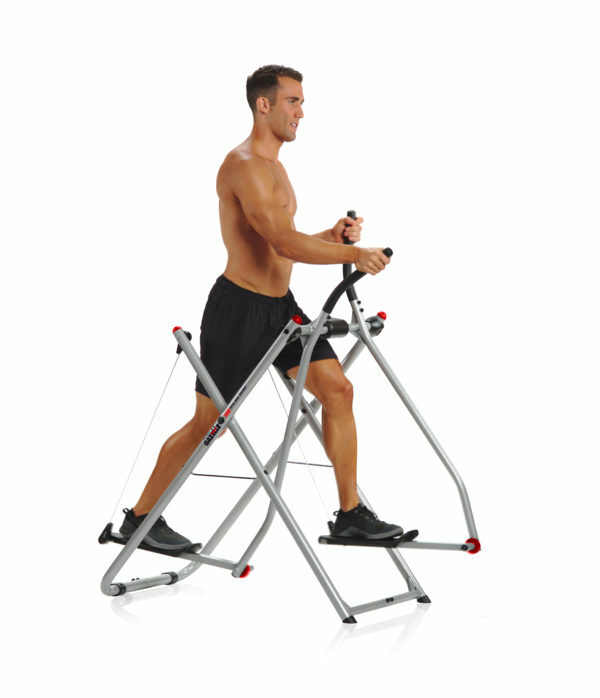 Our newest Gazelle 360 Total Body Trainer sports a low-impact workout and a hot new look! Featuring Grip Pulse Technology and workout computer to deliver immediate feedback on speed, distance, time, calories burned and pulse rate and Patented dual pivot system – allowing for a greater range of motion because your legs move independently. Gazelle 360 Total Body Trainer provides both aerobic and resistance training and includes all of the workout tools needed to get you started – including 3 Workout DVDs, New Tony Little’s You Can Do It ® Total Body Fit for Life Guide, New Exercise Wall Chart, Owner’s Manual with Exercises, Nutrition Guide, 22 oz. water bottle + holder, Non-skid foot platforms; a foldable footprint for easy storage and a maximum weight capacity of 275 pounds. 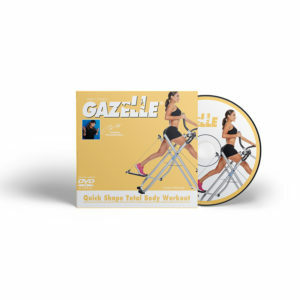 The Gazelle Quick Shape Workout combines the three key elements of fitness; cardio and muscle toning plus stretching in one very effective and quick whole body workout lead by Tony Little. Do this workout every other day. 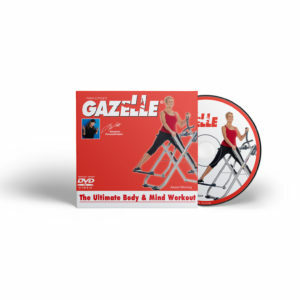 The Gazelle Ultimate Body and Mind Workout combines the three key elements of fitness: cardiovascular and muscle toning exercise plus stretching in one very effective and quick whole body workout. Do this workout every other day.